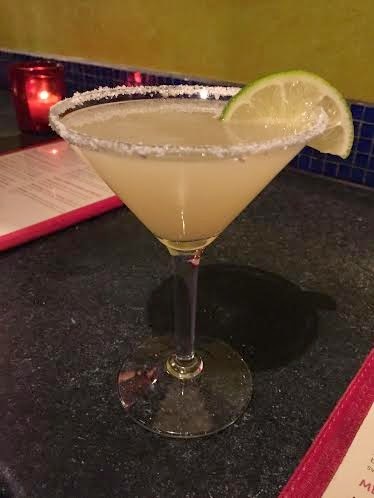 Recently I got the chance to have dinner at Frontera Grill in Chicago. For those of you who aren't familiar, Frontera Grill is from Chef Rick Bayless. Yes Rick like the skillet sauces, cookbook, PBS show, and several other restaurants including some delicious airport restaurants. If you live in Chicago, this is a pretty happening restaurant. You usually have to get a reservation 8+ weeks out. 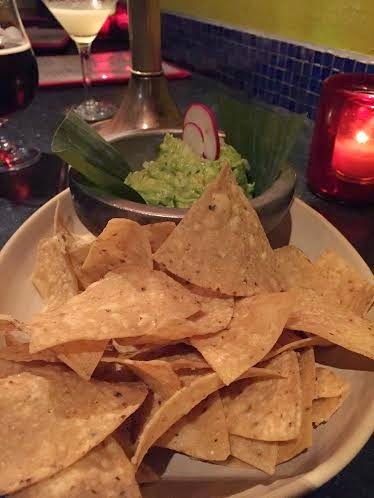 We also had some fresh guacamole. I like a little more kick, but then again I will always be partial to my own guacamole recipe. Fresh chips for the win. Duck was on the menu so obviously I had to have it. I got the Duck in Yellow Mole sauce which had grilled duck breast, duck fat fried red beans, and Swiss Chard with duck confit. Definitely the most unique duck dish I've ever tasted. Super delish. 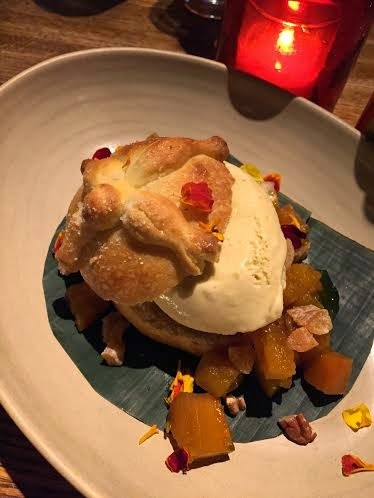 For dessert we ordered the Pan de Muerto which is a buttery buscuit "Day of the Dead Bread" with sugarcane ice cream, pumpkin and toasted pecans. A very fall forward Mexican dessert if I may so so. I loved the juxtaposition between the warm bread and pumpkin and the cold ice cream. Yum. If you're ever headed to Chicago make sure to check out this Mexican food staple!